With the recent upheaval in the world of health insurance coverage, I thought it would be a perfect time to talk about ways that we can safeguard against the need to access insurance benefits and keep our out-of-pocket costs to a minimum. If you have a predisposition towards conditions such as high blood pressure, diabetes, high cholesterol, joint issues, depression or anxiety, a little self-nurturing can go a long way in keeping those issues at bay. Though there is no absolute guarantee that being proactive about your health will completely prevent disease from manifesting in your body, you can minimize the chances by following sensible guidelines. 1. Get Regular Exercise: If you have yet to take part in regular exercise, here are a bunch of reasons why you should. First of all, regular exercise supports and encourages healthy circulation, lowers blood pressure and reduces cholesterol levels. It also reduces your risk of developing type 2 diabetes and some types of cancer. When you strengthen your muscles with resistance training, you protect your bone density and improve your mobility. There are also mood-elevating benefits which exercise confers which can push away depression and anxiety. Lastly, exercise keeps your mind and memory sharp as you age. A good plan is to exercise 30 minutes a day, 4 to 5 days per week at a moderate intensity. Now, if you aren’t quite at that point, or you ae nowhere near that point, don’t get discouraged. The important thing is to start. You can work up to the 30 minutes a day, 4 to 5 times per week regimen gradually, as long as you remain committed to the program. Make sure to schedule exercise sessions into your day, and STICK TO THEM! 2. Reduce Stress: You may be thinking that reducing stress may be next to impossible in this hectic society, but it is absolutely essential for your physical, emotional and spiritual well-being. When you go through life at top speed, anxiously rushing through in an effort to meet deadlines, you not only miss out on special moments, but you also overtax every major organ in the body, including adrenals, heart, pancreas, liver, colon, brain and skin. Similar to over-revving an engine, you cannot expect to keep going at a gallop constantly without burning out the engine. Have you ever noticed that you are more prone to catching colds when you burn the candle at both ends? Simple things, such as practicing breathing techniques when anxiety creeps in, or truly allowing yourself to BE IN THE MOMENT when you take a break, can be very helpful in reducing stress. Pay attention to the times when you feel overwhelmed, when you feel like you are unraveling or are at that point in which you are either going to explode or give up and hide under a rock. It’s during those times that stepping outside the bubble is crucial. And once you understand not only that you CAN step away, you may relish that escape when it feels like the walls are closing in on you. 3. 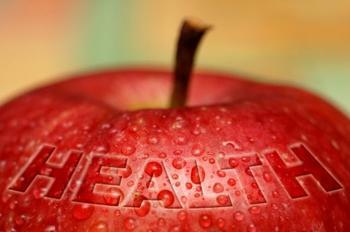 Practice Sound Nutrition: Proper nutrition is critical to supporting optimal health. This means eating meals throughout the day instead of starving yourself, and turning to whole food sources as much as possible. By incorporating leafy green vegetables, fresh fruit, whole grains, lean meats and healthy fats, you will equip your body with the fuel it needs to function properly and to repair itself optimally. Without proper nutrition, inflammation and free radicals can wreak havoc on an already challenged body, culminating in disease and illness. It is important to stay away from fast foods at all costs. 4. Get Sufficient Sleep: Slumber enables our bodies to repair cells and tissues so that we can function during our waking hours. It supports a healthy metabolism and also reinforces learning and memory from the day’s activities. When you don’t get enough sleep, your body cannot adequately repair itself. If sleep deprivation occurs regularly, the metabolism becomes sluggish, inflammation accumulates, and the risk for diseases of all kinds becomes significant. Make sure to get a solid eight hours of sleep each night, and try to go to sleep at around the same time each night. 5. Laugh: I listed this as a separate topic from stress reduction because I honestly believe that laughter as a daily medicine can do wonders for one’s health. Over the past several years, I have resorted to listening to comedy when I am in my car instead of listening to music, literally adding comic relief to the commutes I make around the Los Angeles area. Laughter truly is the best medicine! I’m sure some of you are completely on board with what I am advocating, and are implementing some or all of these healthy habits in your daily regimen. Then there are those of you who believe the advice is sound, but haven’t found the motivation to make the necessary life changes which can have a profound positive impact on your health. Lastly, there’s a group of you who stubbornly refuse to listen to advice, who will keep practicing unhealthy habits as a rebellion to everyone around you. I’ve got a message for the last group. Every single person I have EVER met who threw caution to the wind like that, and pretended not to care about the health impact of habits like poor nutrition, alcohol and drug use, lack of exercise, smoking, and reckless lifestyles, somehow got it in the end. Whether it was a cancer diagnosis, high blood pressure, obesity, or some other illness, every single one of them was forced to change their tune. Don’t be one of those individuals who is forced by illness to finally wake up! You have the power to transform your life. Don’t forget that!